A devoted wife and mother, businesswoman, TV star and award-winning producer, Sharon Osbourne has, in her own words, 'lived fifty lives in fifty years'. 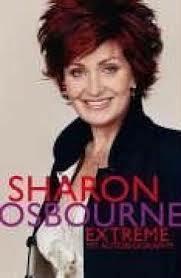 From her extraordinary childhood as the daughter of infamous rock manager Don Arden, to managing and marrying rock legend Ozzy Osbourne, to her own rising fame on shows such as "The Osbournes" and "The X Factor", Sharon Osbourne has experienced tremendous highs and devastating lows. She has earned her reputation by overcoming seemingly insurmountable obstacles with her honesty, charm, sense of humour, great instincts, and keen eye for business. Now she will reveal the truth behind the headlines in her characteristically frank, intimate and articulate way. Her story will, undoubtedly, be the autobiography of the year.